Vasco offers a seven-piece variety of bags and packing cubes to make any trip easier. Vasco team took a new look at the process of packing things and organizing the space in the luggage. Vasco has launched a Kickstarter campaign for their smart packing luggage. The collection offers seven different bags and packing cubes to make any trip easier. 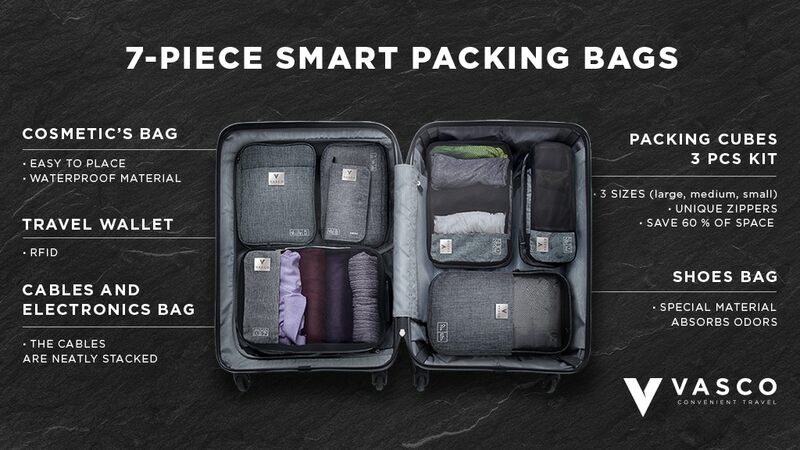 Check out the Kickstarter campaign here: https://www.kickstarter.com/projects/223985220/vasco-smart-packing-cubes-and-bags. 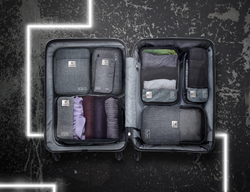 The Vasco team took a new look at the process of packing things and organizing luggage, leading to these packing cubes and bags. They offer seven unique bags that maximize function and save space. The bags help users pack properly and store all the things that are necessary for a trip separately. Cosmetics Bag: Your personal care products can all be kept together in this. The bag’s size ensures that it’s easy to place in even the smallest bathrooms. 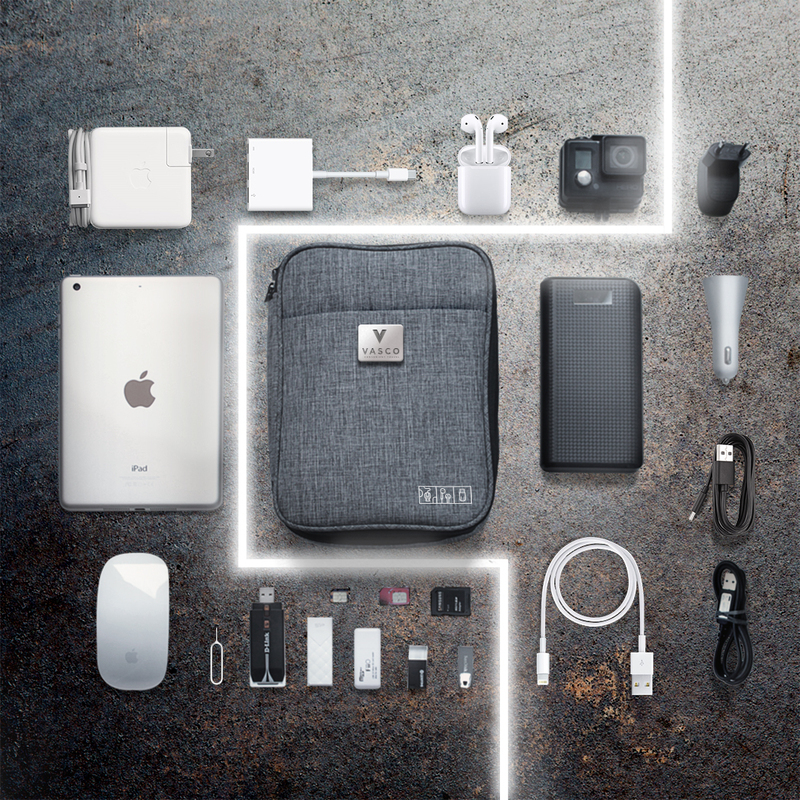 Electronics Bag: This offers a great solution for the problem of tangled cables, multiple chargers and other accessories. The cables can be neatly stacked, making sure they don’t get tangled or damaged. 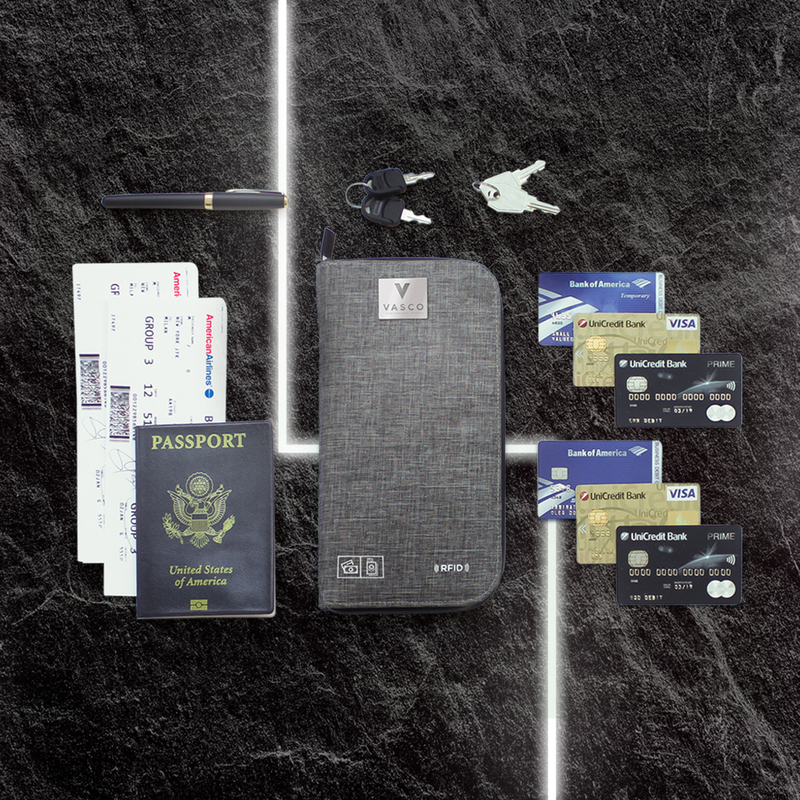 Travel Wallet: When traveling, you want to make sure you keep all of your important documents right on hand. 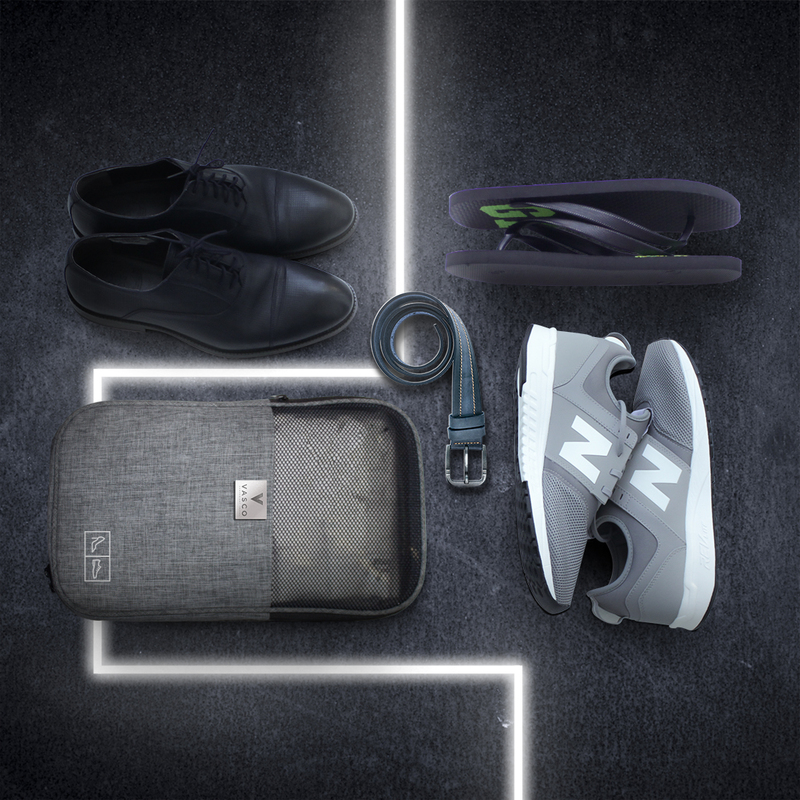 This eliminates documents getting lost within other luggage—you’ll always know where they are. The wallet is also equipped with anti-theft RFID technology, keeping your crucial information safe. 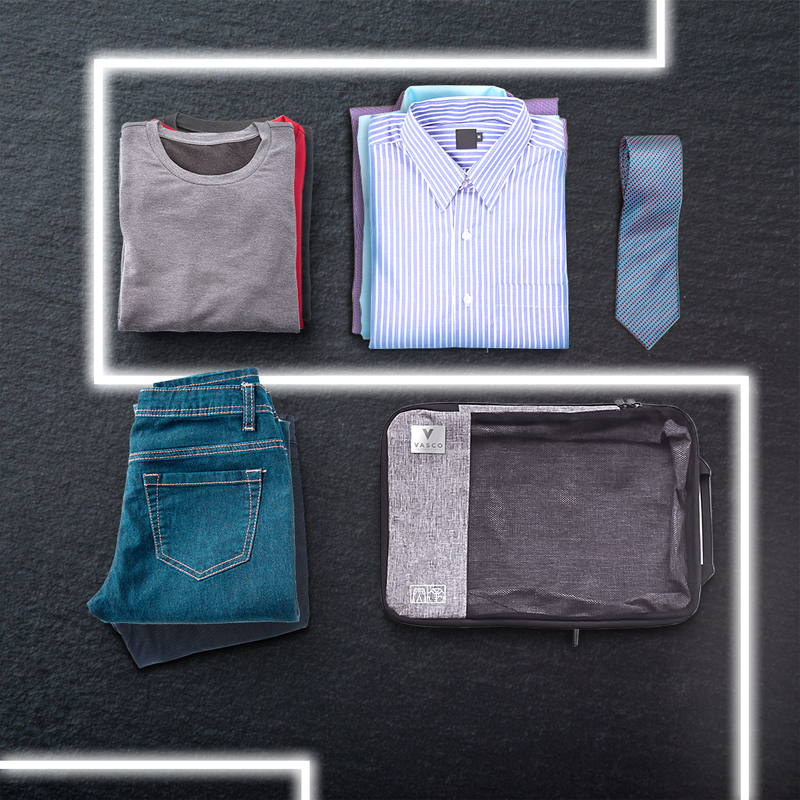 Vasco bags and cubes helps you keep order within your suitcase all while saving space. They help you pack your suitcase two times faster than usual and enable you to find the exact item you’re looking for quickly. Visit the Vasco Kickstarter page to pre-order the packing bags and learn more about the product that will change the way we travel. Vasco specializes in design, technology, and marketing. Fans of business, Vasco is launching products for the first time at Kickstarter to solve their own issues with business trips. Vasco plans to continue creating products for this purpose. Since the team is often on business trips, they study the problems business people have when they travel and strive to make the process easier. Founders of the company have launched successful campaigns earlier and succeeded in get products to Lowe’s and QVC after crowdfunding campaigns.